Good Girl caused a storm when it stomped into our lives just three years ago. Strutting around in the fanciest of bottles – a blue and black stiletto, no less – Good Girl presented a rebellious signature that dared to be seductive, weaving hypnotic white floral notes of tuberose and jasmine into a delicious shawl of cocoa and tonka beans. 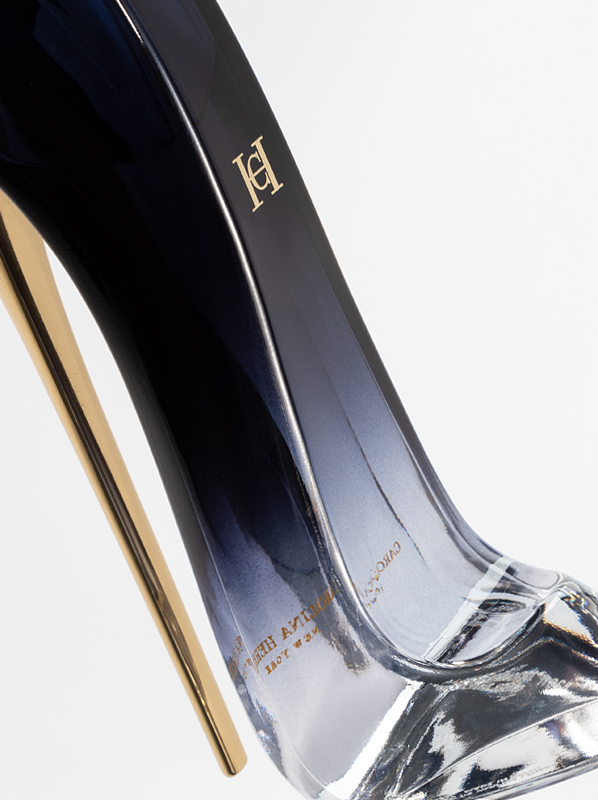 The result was a fragrance as bold and glamorous as its killer heel bottle (read my review of it here). For 2019, Carolina Herrera brings us Good Girl Legere, a lighter twist on the original. Housed in the signature stiletto, this time with a clear ombre effect that hints at Cinderella’s glass slipper, Good Girl Legere presents a more luminous take on the Good Girl blend of white flowers and gourmand facets. It’s fresher and brighter, but just as fun – heck, I’d even say that it’s more fun than the original! Good Girl Legere opens with more lightness and transparency than the original Eau de Parfum. The mandarin top note is juicy and fleshy, evoking the juice, pith and peel of vibrant mandarin oranges. This brings a sparkling, disco feel that gives Good Girl Legere a punchy, luminous feel, marking it as a high energy fragrance that hides a deeper sense of richness underneath the dazzling fruits. Florals play a big part in Good Girl Legere’s heart. Jasmine, a staple of the original, brings a heady, exotic vibe. Instead of pairing this queen of the flowers with tuberose as in Good Girl Eau de Parfum, Legere goes for the hot tropical blooms of ylang ylang, folding them into a delectable dry down of vanilla, sandalwood and caramel. The result is hot and skin like, evoking the image of sun-kissed bodies laying on the beach. If you’re a fan of Good Girl then there is nothing about Good Girl Legere that you won’t like. It remains faithful to the original whilst adding a new, fresher twist. It’s lively and fun, with a beautifully juicy opening that’s difficult not to love. Anyway, the way I see it – if you’ve got one shoe already, it would be criminal not to get another, after all, shoes always look better in pairs, am I right? This entry was posted on Wednesday, March 13th, 2019 at 9:15 am and is filed under Candy Perfume Boy, Fragrance, New products, Tried & Tested. You can follow any responses to this entry through the RSS 2.0 feed. You can skip to the end and leave a response. Pinging is currently not allowed.